Brit-pop greats Suede recently teased their upcoming Bloodsports with a modest practice-space video for "Barriers" but are going all-out for the proper first single, "It Starts and Ends With You." 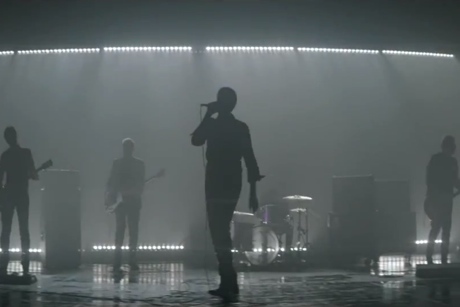 The deceptively simple performance clip finds the band on a lights-flashing soundstage. Leader Brett Anderson morosely serves up some sad-sack lyrics about being like "a hairline crack in a radiator, leaking life," but the band then bangs into a gloriously glammy chorus. Only time will tell if Bloodsports will stack up to Suede's classics, but we're off to a good start. The album has yet to nab a proper street date but is expected sometime in March.